Are you looking for the best-in-class IP surveillance CCTV system? 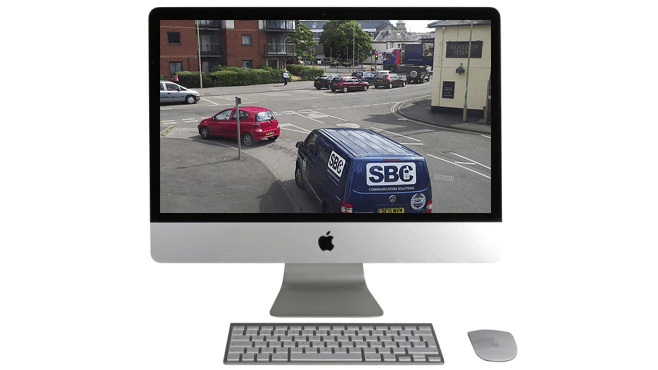 As one of England’s leading commercial CCTV installation specialists, SBC supply and install a full range of full HD 1080p IP security cameras to suit every requirement. We guarantee you absolute crystal clear quality, reliability and functionality from award-winning video surveillance products with cutting edge technologies. SBC’s world-class IP cameras, PTZ Dome cameras, and NVRs are all designed to deliver unparalleled image quality and customer satisfaction. SBC solutions can include Dome Cameras which feature HD 1080p resolution, smooth Pan/Tilt/Zoom, and intelligent tracking functions. At the core of our solution is our state-of-the-art NVR. With the ability to connect all IP cameras together, it simplifies the experience even further. Features such as live viewing, recorded video, motion sensors, email notifications, smart video playback, event playback/backup are available. In addition, smart NVR’s boast multi-channel recording, HD video preview, massive storage capacity, and system stability, providing the perfect choice for professional surveillance applications. Security cameras offer a number of benefits, apart from being both a visible and visual deterrent and can be a valuable source of evidence for use in the detection and investigation of crime. CCTV never sleeps! Being able to access your CCTV cameras 24/7 using an internet browser or your smartphone or tablet means you can monitor your property from any location. When you’re out and about, on holiday or out of the office you can quickly and easily view your CCTV system and monitor your property from anywhere in the world. Our CCTV systems are fully installed and set-up by professional, experienced engineers. All equipment supplied and fitted comes with free maintenance and technical support for a year all backed by our installation guarantee. Full training is provided and local assistance is always on hand, via telephone, email or in person. CCTV Andover, Andover CCTV, CCTV Salisbury, Salisbury CCTV, CCTV Winchester, Winchester CCTV, CCTV Basingstoke, Basingstoke CCTV, CCTV Southampton, Southampton CCTV, CCTV Reading, Reading CCTV, CCTV Marlborough, Marlborough CCTV, CCTV Romsey, Romsey CCTV, CCTV Swindon, Swindon CCTV, CCTV Eastleigh, Eastleigh CCTV, Alton CCTV, CCTV Alton, CCTV Newbury, Newbury CCTV, CCTV Windsor, CCTV Whitchurch, Whitchurch CCTV, CCTV Stockbridge, Stockbridge CCTV, CCTV Hook, Hook CCTV, Farnborough CCTV, CCTV Farnborough, Warminster CCTV, CCTV Warminster, Ringwood CCTV, CCTV Ringwood, CCTV Bournemouth, Bournemouth, CCTV Hampshire, Hampshire CCTV, CCTV Wiltshire, Wiltshire CCTV, CCTV Berkshire, Berkshire CCTV, CCTV Dorset, Dorset CCTV, CCTV Surrey, Surrey CCTV – Other areas covered.